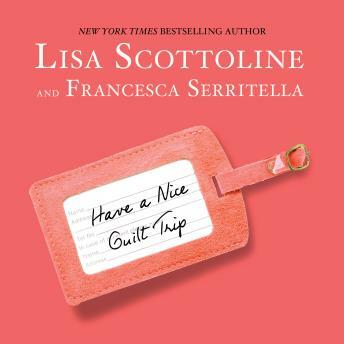 Lisa Scottoline and Francesca Serritella are back with another collection of warm and witty stories that will strike a chord with every woman. This series is among the best reviewed humor books published today and has been compared to the late greats, Erma Bombeck and Nora Ephron. Booklist raved of the third book in the series, Meet Me At Emotional Baggage Claim, 'readers can count on an ab-toning laugh session, a silly giggle, a sympathetic sigh, and a lump in the throat as life's moments are rehashed through the keen eyes and wits of this lovable mother-daughter duo.' This volume, Have a Nice Guilt Trip, maintains the same sterling standard of humor and poignancy as Lisa and Francesca continue on the road of life acquiring men and puppies. Ok, to be honest, Lisa is acquiring the puppies, while Francesca is lucky enough to have dates with actual men. They leave it to the listeners to decide which is more desirable and/or or easier to train.